As IFA starts to slowly edge its way over the horizon, the product teasers start to rain. We’ve already seen hints from Sony, an outright admission from Samsung, and speculation from HTC. 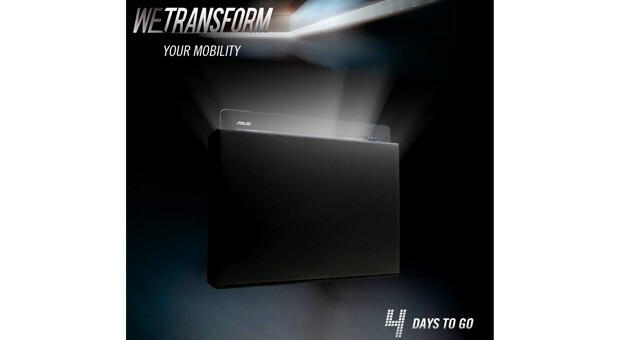 The latest tidbit, comes via ASUS’s Facebook, which suggests it plans to show a new tablet at the event. What can we say about it? Well, odds on it’s another Transformer Pad, running Android, and if you’re into numerology (and consistency), Tegra 4 inside. Coincidentally, an unknown ASUS tablet (pictured after the break) with model number K00C popped up at the FCC last week, revealing little more than the usual WiFi and Bluetooth radios, and a display somewhere around 10-inches. Though the description of it as a Transformer Pad could indicate that whatever its exact configuration, it’s arrival in the US won’t be that far out. Idol S, the larger of the two weighs 110 grams, has a 4.7-inch 1,280 x 720-pixel screen and DC-HSPA data connectivity. It’s powered by a 1.2GHz dual-core processor, has 4GB of internal storage, 1GB of RAM and an 8-megapixel rear / 1.3-megapixel front-facing camera. On the other hand, the Idol Mini has a smaller 4.3-inch 854 x 480-pixel display, weighs 96 grams and comes with HSPA+. 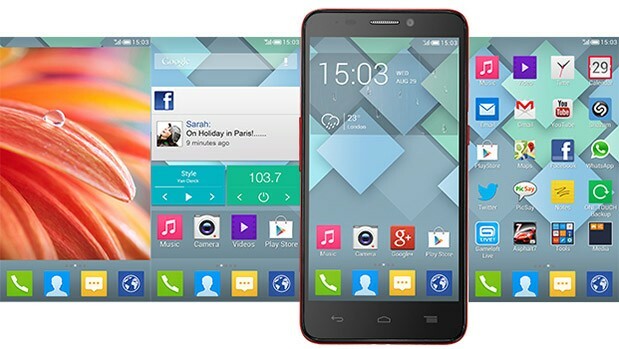 It’s equipped with up to 8GB of internal storage, 512MB of RAM and a 5-megapixel rear / VGA front camera. Think 150Mbps LTE-Advanced data is quick? KDDI could offer far more bandwidth next year. Nikkei claims that the Japanese carrier plans to upgrade its cellular network to 220 Mbps data as soon as summer 2014. Service would reportedly launch with an Android smartphone, and rely on new wireless technology; it’s not clear whether this entails a faster LTE-A variant or something new. 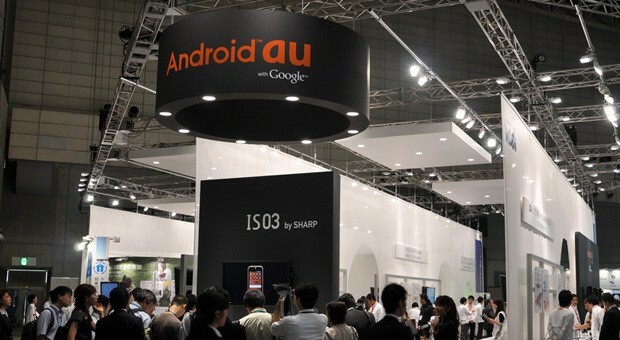 KDDI hasn’t confirmed the rumor, so we wouldn’t consider moving to Japan just yet. If there’s any truth to the claims, however, even NTT DoCoMo’s upgraded LTE could soon feel downright pokey. 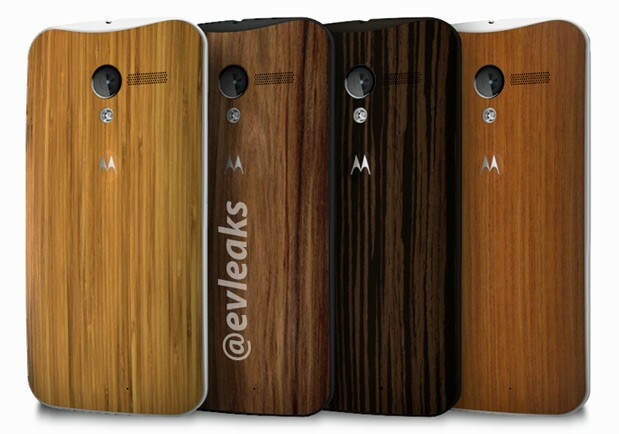 When Motorola announced it’s first flagship since becoming part of Google’s empire, it was to mixed response. But, if evleaks is right, as is often the case, then a forthcoming $100 price-drop could suddenly change a few minds. Currently, the customizable phone, that listens to your every word, will set you back $199 on your network of choice, so a drop to $100 on contract — reportedly just in time for Christmas — could see this rise up the gift lists. Oh, and those wooden covers? Our leaker claims will come with a $50 price tag, for those that want the natural look this winter. This entry was posted on August 31, 2013, 5:33 pm and is filed under Mobility. You can follow any responses to this entry through RSS 2.0. Both comments and pings are currently closed.